Just picked up the Mutant Scoop Dalek from Argos today for £3.49. I didn’t realize they sold them. I got the Twelfth Doctor from this wave today. I got the Tenth Doctor and Amy from this wave today for my birthday. Does anyone know if these are out in the US yet? I can’t see the mutant scoop Dalek on FP anymore, it might have sold out. None of these, except the Twelfth Doctor, in Forbidden Planet and Toys R Us Manchester – just Wave 3’A’. 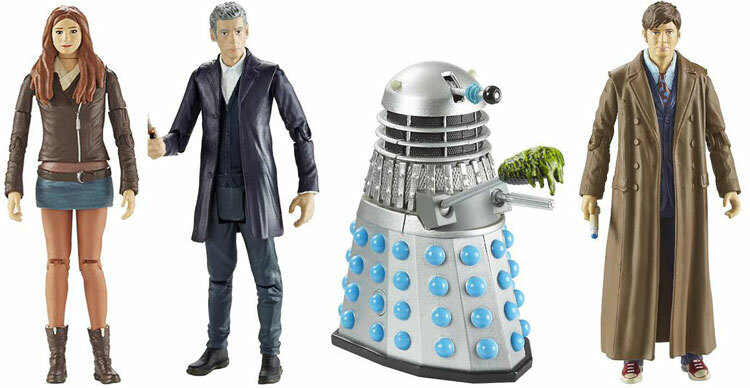 Might have to order online – don’t want to miss the Mutant Scoop Dalek; not really up for risking getting one with bent eyestalk syndrome though. I bought the Mutant Scoop Dalek earlier from Toys R Us, it’s a great figure! Erm is there any point in getting 12? No… I am going to get Amy Dalek and Doctor 10. Sorted. Then Gold Dalek Blitser and jacketless tenth. Oooh 11. Done. When I can that is.